Bentley is an amazing success story. With the launch of the Bentayga, the luxury car constructor is definetely entering the highly competitive market of luxury SUV. Bentley’s SUV takes the class to a new level. Imposing and capable, Bentayga has been conceived and crafted to open up a realm of luxury and performance previously unattainable in an SUV. Bentley was founded in 1919 in the North of London. After several chapters in the car company story, Bentley ended up at Rolls Royce in the 70’s. Obvious the 2 brands had a lot in common, in the exclusive experience they both provided to the lucky car owners. By the end of the 90’s, the Rolls Royce group got some financial issues and Bentley was sold to the Volkswagen Group for £430m. It was an important investment from Volkswagen and because they believed in the future of Bentley, they were ready to invest. The investment did not stop in the purchase of the British brand. Volkswagen invested almost $1million in Bentley’s factory which doubled the number of employees. The aim for the German Group was to regive wings to the Brand again. The first car project under the roof of Volkswagen was the Bentley Continental. Launched in 2003, it was an amazing commercial success for the brand. One of the strengh of the Volkswagen group is to develop great synergies between different brands. From Design, structure, engine or hybrid technologies, the VW group launched many cars thanks to this amazing innovation mechanics. The Bentley Bentayga example is a state of the art in terms of group synergies. The engine is based on a Volkswagen Group V12 engine. This W12 badged W12 engine is twelve cylinder W engine of four rows of three cylinders, formed by joining two imaginary 15° VR6 engine cylinder blocks, placed on a single crankshaft, with each cylinder ‘double-bank’ now at a 72° angle. This specific configuration is more appropriately described as a WR12 engine. It was already used in the Bentley Continental GT and Continental Flying Spur with the addition of 2 Turbochargers. The main structure is based on the Volkswagen MLB platform. MLB stands for Modularer Längsbaukasten, translating from German to “Modular Longitudinal Matrix”. This platform concept was initially introduced via Audi in 2012 with the A5, Q5 and Q7. Porsche introduced this concept in the Macan and now the second generation is applied to the new Q7 and the Bentley Bentayga. This platform concept has largelly made its proof thanks to all the work done by VW on the Touareg. So Bentley entered the competive SUV market in a very good way. It is not about luxury, it is not about all wheels drive, it is both! How Bentley is going to tackle the SUV market and the difference between them and more conventional 4×4 cars and SUV companies? 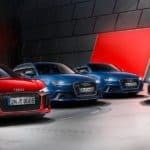 For decades, the “all-road” market was completely dominated by efficient functional cars that could be driven under any weather condition on any type of road. It was the era of Land Rover, Toyota or GMC. The 4×4 wheel drive was something dedicated to professionals and people living in the country side. The pioneer was Jeep with its Jeep Willis of 1941 (military purposes). Then, there was a variation of this segment torwards a more leasure, less functional car, still all-road. That’s how Americans invented the concept of S.U.V., meaning Sport Utility Vehicule. The original 1984 Jeep Cherokee (XJ) made by American Motors combined a passenger car with truck chassis for ease of driving in difficult conditions, as well as established the modern SUV market segment and its popularity in the late-1980s and early-1990s. The compact-sized XJ Cherokee was one of the most best selling SUV models ever made, with over 2.8 million built between 1984 and 2001. This was an amazing background to prepare a new segment: the luxury SUV market. 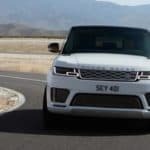 Companies like Land Rover, based on their solid experience and know how, launched Range Rover, a more fashionable, lifestyle brand that would fulfill a demand on premium all-road cars. The market developed then thanks to the German car companies. Volkswagen, Porsche, Audi, BMW and Mercedes became very successful in the luxury SUV segment. This happened along the way of a new trend in terms of car consumption. While city cars would become more functional, compact and designed for functionality, the all-road cars would integrate a new factor: pleasure. In deed people would drive less to work but would spend more time in their cars during weekends and holidays. So they would enjoy comfortable, adventurous cars still sportive and stylish. These make the success of brands like Audi or BMW. The ultra-luxury market got immediately interested by this segment based on the growth it would provide. Porsche got an amazing succes with the Cayenne and more recently Lamborghini launched its SUV concept: Urus. It is supposed to be fully launched in 2018 and it is an important step for the Italian brand. It is a major trend that more and more high-end luxury brands will launch their SUVs. In order to proactively anticipate this new chapter, Bentley made a very smart move. By completely capitalizing on Volkswagen know-how, Bentley won a minimum of 5 years in terms of Research and Development. Now with the Bentayga, Bentley will take a strong share in this super-premium position. With a vast range of options and opportunities to personalise, together with ground-breaking technology that opens up new experiences, it is as unique as it is unexpected. With innovation at its heart, it displays unprecedented power, speed and efficiency, setting new standards in the SUV sector. To create such a revolutionary car, Bentley’s designers were compelled to think in new ways. When you look at a car, you don’t really see it. It’s the same when you look at any solid object. Colours and contours are merely illusions; all our eyes really see is light, bouncing off surfaces in different ways. It is the way our brains process light that gives us our 3D view of the world. Bentayga’s exterior was designed with this principle in mind and made real with Bentley’s world-famous sculptural prowess. Strategic design elements like the ultra-sharp power line, signature ‘horseshoe’ at the rear and the muscular haunch, adding volume and power to the taller profile, are complemented by individual and dynamic detailing: the B-shaped wing vent behind the front wheel arch and Bentayga’s signature ‘B’ graphic rear lamps. Bentley is one of the ultimate icons of luxury in the automobile industry. Its name, as its logo give you wings to explore a stylish journey, now all-road. All information is sourced at Bentley official communication and website, wikipedia, Forbes and Car Passion. All content is copyrighted with no reproduction rights available. Images are for illustration purposes only.